Every marketer has goals, whether for their latest campaign or for the quarter. “Get me 30x the clicks/impressions/conversions!” is a phrase I’m betting a lot of you have heard from a dictator director of some kind, and the struggle is real when you want to deliver. 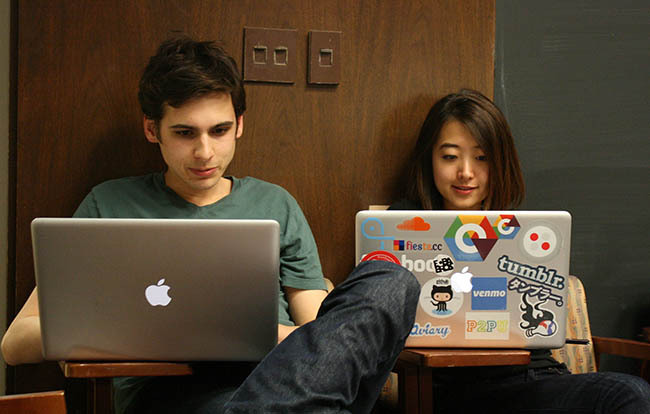 That a real person is behind every click, sign up, social share and conversion. Behind every click and every conversion, there’s a living, breathing stock image model. Image source. We often forget about the people that are interacting with our pages, our products, our brand. If you’re feeling any frustration at all with the numbers you’re seeing in your analytics, it could be because you’re focusing too much on the medium (sign-ups on your landing page form) rather than the people actually filling out that form. When I attended MozCon several weeks ago, this theme kept cropping up in the presentations: we have to go back to basics a bit to create better marketing experiences for the consumer, because that’s what affects our bottom line. The more you get to know your audience and create content targeted specifically at them, the more you’ll see your metrics rise as a result. To help us re-imagine our relationship with our users and create better marketing experiences for them, three tactics from the MozCon presentations stood out for me: developing a solid brand strategy, optimizing for search and personalization. What do each of those entail? Let’s dig in. Good marketing just feels right. In other words, good marketing is cohesive, relatable and prompts people to make decisions without having to think too hard about it. But how can marketers weave this sort of effortlessness into each and every marketing campaign they run? According to Dana, a solid brand strategy goes a long way. As she explained, a brand strategy is the culmination of a brand’s core values, art direction and customer personas outlined in one central document — a document that acts as a company’s moral compass. This strategy should guide and affect all efforts of the business and, in particular, a brand’s marketing efforts. Dana explained that you have to go beyond logos, brand colors and email headers. You have to think of your brand as a person, and have conversations with everyone in your organization (not just the marketers) about what kind of characteristics this person has. With your new brand strategy to guide you, you’re sure to create more cohesive, enchanting marketing for your prospects – the people behind every click. In his presentation, Wil Reynolds pointed out that focusing on the overarching experience you provide to your prospects has has an added bonus: when you’re concerned with people, their decision making processes and what makes them tick, you’re mastering a skill set that can’t be disrupted. New Google algorithms are constantly being released, and people are always dreaming up new methods for acquiring traffic — these things can and will change constantly. What won’t change is the fact that people are behind every click that contributes to your company’s bottom line. As Wil explained, when you understand who your audience is, what they want — and most importantly — why they convert, you have an un-disruptively valuable skill. And no Google algorithm update can change that. As the Wizard of Moz himself Rand Fishkin explained, at the end of the day it’s all about balance. Whether we’re creating content, web pages or running a marketing campaign, we need to optimize for search engines and people. Focus on the algorithm input too closely, and you’re creating bad marketing experiences for people. Focus too closely on the experience you’re providing people, and they won’t be able to find you in Google to begin with. Finding the balance between algorithm input and human input is no easy feat, but if you can find that sweet spot, you’ll be flying high. Every piece of content you put online needs to be directed at someone. I’m talking someone specific. So specific that you should be able to picture that person’s face. If your content is for everybody, then it really is for nobody. Deep, huh? But she’s totally right. Content for the sake of content just piles up and eventually dies on the vine. Kristina (and many others) called for a well-rounded content strategy that takes into account both the company’s goals and those of the audience — or a multitude of audiences. Image via Cara Harshman’s MozCon presentation. Who to target: Slice your audience into unique segments. We have so much data that we can pinpoint the even the most particular of people. Look at contextual (where are they coming from? ), demographic (things you innately know to be true about your audience) and behavioral (interactions those people have had with your product/site) data to pick out a well-rounded segment of people to talk to. What to show them: What are you showing the unique person that you’re targeting? Will they find it relevant to their interests? Are you sure? Put extra effort into researching exactly who your segment of people are and provide a delightful marketing experience for them. How to prioritize: How do you decide where to start? It comes down to three major things: potential business impact, technical effort to execute and the requirements needed to sustain it. Remember not to slice your audience too thin or else personalizing for lots of really small audiences will take way more effort than it’s worth. To circle back for a second, the best way to be personal (without being creepy) is to stay true to your company’s brand strategy and core values. If your marketing stays true to what you stand for, your marketing will feel good — and this creates marketing experiences customers can get behind. You can dive deeper into Cara’s presentation (and that of others) by checking out the comprehensive notes that Unbounce took at MozCon. There are people behind every single marketing action you take. You are not affecting the numbers, you’re affecting users who are interacting with your product and your brand. What do you want them to know? What makes them tick? What do they need from you in order to take action? None of those questions can be answered without a little hard work and risk taking, but it’s all in the name of creating better marketing experiences. So disrupt your current workflow and start the conversation about what you stand for and who you’re producing content for. Your marketing will thank you. PSST. 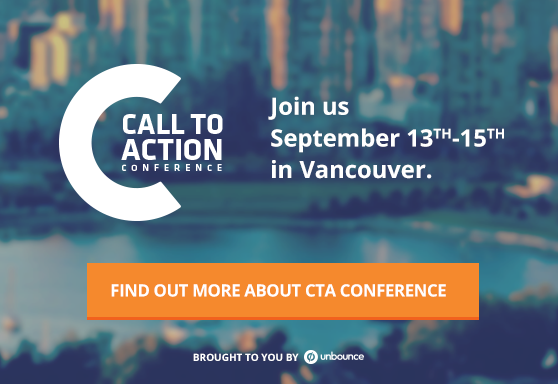 If you want to take the first step towards disrupting your marketing for the better, join us for the Call to Action Conference in September, right here in beautiful Vancouver. I’d love talk shop with y’all! As Unbounce’s Marketing Manager, Campaign Strategy, Chelsea is one of the greatest landing page producers on her team. Her days are filled with brainstorming sessions, project mapping, and marketing campaign execution. Her passion lies in focusing on human-centred marketing and treating her audience like people, not clicks, through active storytelling. When she’s not strategizing the day away, you can find her on stage in local Vancouver theatre productions or cooking up a dinner party for too many people in her tiny apartment. Find her on Twitter @chelseascholz.